A Spanish scholar and translator, who flourished in the fifteenth century. He was expelled from Spain in 1492, and settled at Padua, where, in 1496, he completed his Hebrew commentary upon Al-Fergani's "Extract from the Almagest," which, however, as Steinschneider showed, is in part plagiarized from Ḥandali's commentary. 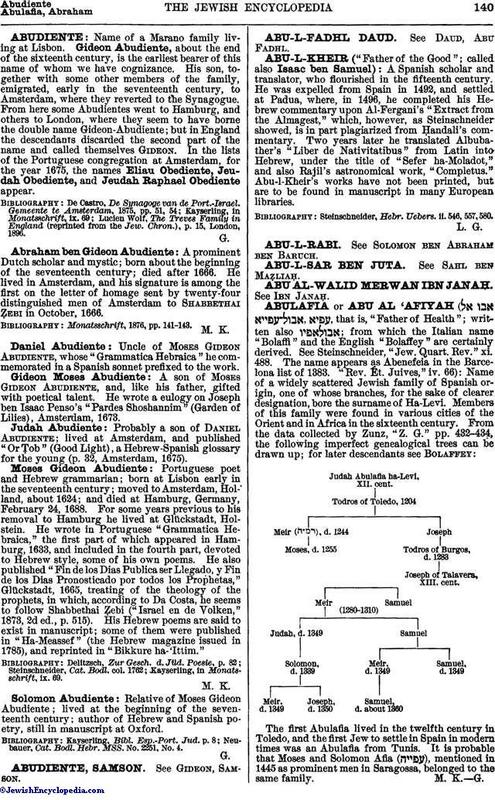 Two years later he translated Albubather's "Liber de Nativitatibus" from Latin into Hebrew, under the title of "Sefer ha-Moladot," and also Rajil's astronomical work, "Completus." Abu-l-Kheir's works have not been printed, but are to be found in manuscript in many European libraries. Steinschneider, Hebr. Uebers. ii. 546, 557, 580.